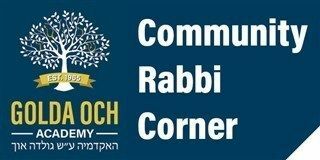 This Shabbat we will celebrate a “trifecta” for Kriat HaTorah (Torah reading): Parashat Tazria, Rosh Chodesh Nisan and Shabbat HaChodesh. Such an event occurs on our liturgical calendar a maximum of four times a year: Simchat Torah, when Rosh Chodesh Tevet is on Shabbat (and this always falls during Chanukah), when the month of Adar begins on Shabbat (and the extra portion of Shekalim is read) and this Shabbat. With three Torah scrolls in use this Shabbat it is a heavy lifting experience. However, the heaviest aspect is the spiritual heart lifting that is also required for this Shabbat: Chag Pesach will begin in two weeks. On Friday night, April 19 (the 15th of Nisan), we will all be liberated once again from slavery into freedom. However, a key message of Pesach is that freedom does not come without a price. The tithe we are commanded to pay upon receiving the Torah at Har Sinai is not in shekels, rather in responsibility. We live in a world where freedom is a precious commodity and all too often hard to achieve. In the Magid paragraph recited in the beginning of the seder we state: “All who are hungry are invited to come into our homes to eat.” It is not a mere filling of the belly; it is also a filling of the spirit. We need to open our hearts to the oppressed, the refugees, and all segments of our society that remain slaves to addictions, xenophobia and intolerance. This Shabbat HaChodesh let us all endeavor to work to achieve a true jubilee and let freedom ring!